Exercise Is a Maintenance Program For the Brain? Author SimaPublished on November 14, 2017 December 14, 2018 Leave a comment on Exercise Is a Maintenance Program For the Brain? It's reassuring to see that there are positive things one can do to maintain brain health as one ages. With normal aging, the brain typically shrinks a little with each passing decade - starting from about the age of 40. But one recent Australian study, which reviewed the results of many other studies, found that exercise slows down this shrinkage in humans, specifically in the left hippocampus. That is, that aerobic exercise had a significant positive effect on the volume of the left hippocampus. This matches the result of animal studies. Aerobic exercise can improve memory function and maintain brain health as we age, a new Australian-led study has found. In a first of its kind international collaboration, researchers from Australia's National Institute of Complementary Medicine at Western Sydney University and the Division of Psychology and Mental Health at the University of Manchester in the UK examined the effects of aerobic exercise on a region of the brain called the hippocampus, which is critical for memory and other brain functions. The researchers systematically reviewed 14 clinical trials which examined the brain scans of 737 people before and after aerobic exercise programs or in control conditions. The participants included a mix of healthy adults, people with mild cognitive impairment such as Alzheimer's and people with a clinical diagnosis of mental illness including depression and schizophrenia. Ages ranged from 24 to 76 years with an average age of 66. The researchers examined effects of aerobic exercise, including stationary cycling, walking, and treadmill running. The length of the interventions ranged from three to 24 months with a range of 2-5 sessions per week. "When you exercise you produce a chemical called brain-derived neurotrophic factor (BDNF), which may help to prevent age-related decline by reducing the deterioration of the brain," Mr Firth said. "Our data showed that, rather than actually increasing the size of the hippocampus per se, the main 'brain benefits' are due to aerobic exercise slowing down the deterioration in brain size. 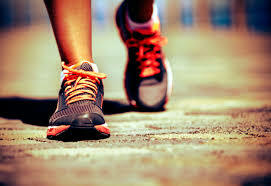 In other words, exercise can be seen as a maintenance program for the brain.".... Interestingly, physical exercise is one of the very few 'proven' methods for maintaining brain size and functioning into older age.